Hello, readers, Celebrating Halloween? It’s on October 31, 2015. 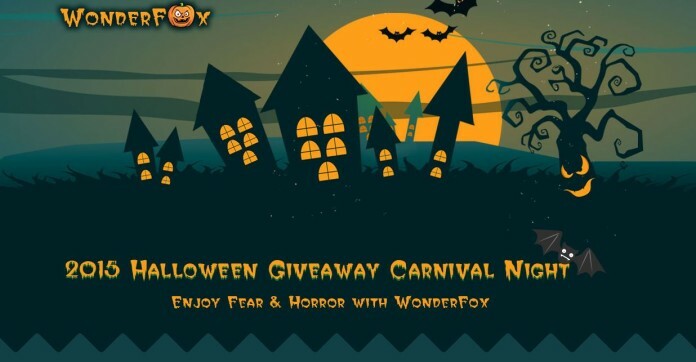 Well, for our readers WonderFox has organized a giveaway carnival which includes especially two software utilities and other free edition treats. WonderFox Video Watermark is also available for free (originally worth $39 and $34 respectively). The giveaway also includes various interesting products from WonderFox. DVD Ripper is also available as extra free gifts. 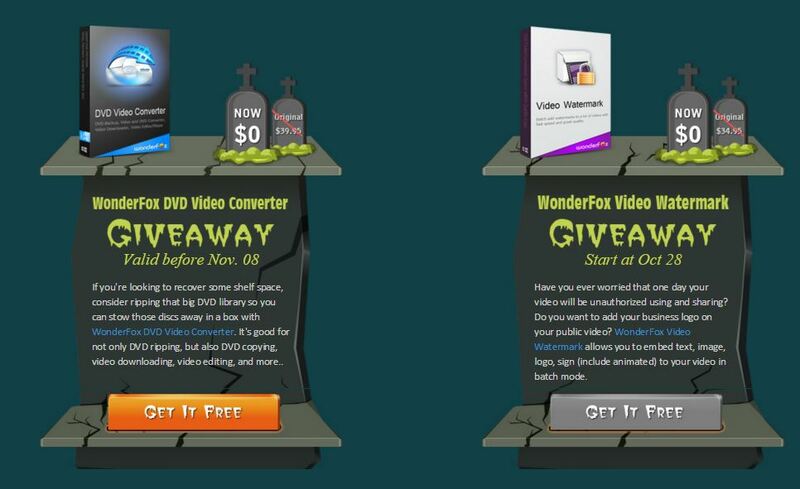 However, the giveaway for the DVD Video Converter is valid up to November 8, 2015, and the giveaway for the Video Watermark would start from Oct 28, 2015. Let your friends know about the giveaway carnival (no loss on either side). A freelance tech journo and a Computer Graduate who started TechLegends. He has had bylines at a variety of publications that include Ubergizmo, It's Foss, WindowsReport, TechLila, TechReviewPro, and Tech Cocktail. If you do not want comment notifications, it's optional.